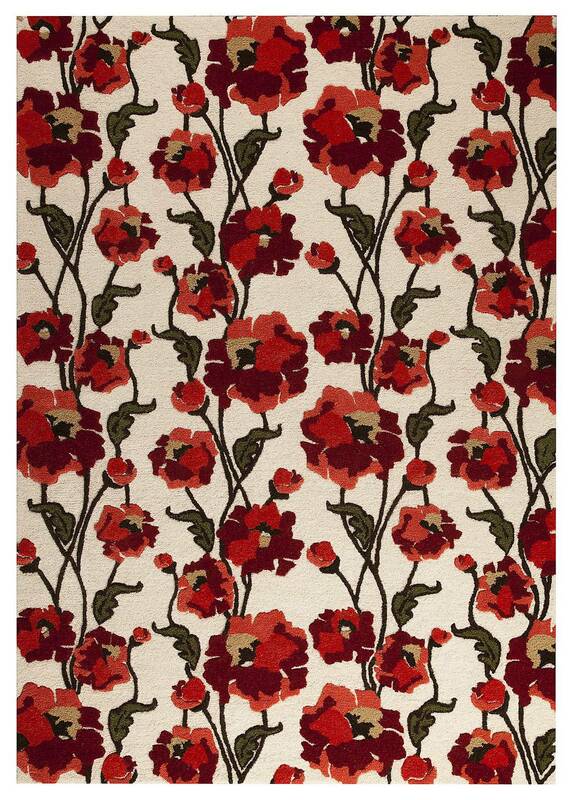 MAT Orange Fiore Area Rug - White Red - Swatches may be available. Hand Tufted. Contemporary.An explosion of reds and oranges are vibrant and intriguing. The Fiore rug is an expertly-made floor treatment with an ivory background that adds softness and space definition to any room where you choose to place it. 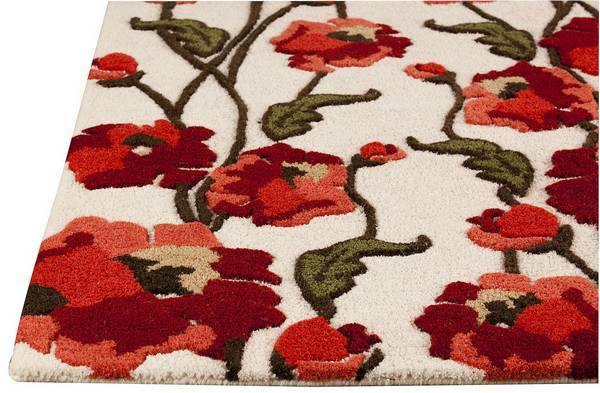 The floral arrangement, which runs boldly up the rug, is a touch that gives this motif a flair all its own. Artisan handmade, this rug is an item that is beautifully constructed from a blend of wool and viscose. The Fiore collection will instantly uplift and rejuvenate the look of any home. Hand Tufted with Mix of Blended New Zealand Wool and Viscose. 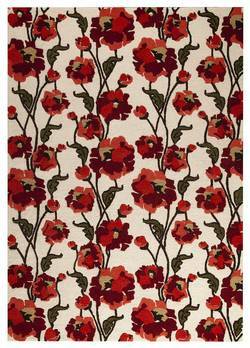 Floral Mix of Blended New Zealand Wool and Viscose. Cut and Loop; High Low; Hand Carved .5 inches. Made in India. MAT Orange Fiore Area Rug - White Red 7'10"x9'10"
MAT Orange Fiore Area Rug - White Red 5'2"x7'6"